A good speaker system adds a charm to your desk. 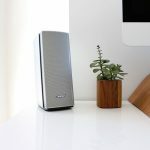 There are tons of best computer speakers available on the web. Any speaker will get your job done but there are some good looking speakers with good audio quality and easy setup. Such computer speakers will be perfect for your desk. If you were searching for any such good quality best budget computer speakers for your desk then you are in the right place. Look at my previous review on Symphonized NRG 3.0 Earbuds Review or if you are looking for some good & expensive speakers then look at best stereo speakers. Today, we will be taking a look at some of the best computer speakers. Let’s get started. Starting the list with Audioengine a2+/a5+ does makes sense as these are most commonly used computer speakers all over the world. These speakers are perfect for the people who are looking for a compact yet minimal speakers with great sound quality. You can connect the speakers to your computer system without any hassle through the USB port at the back of the speakers. The setup of these computer speakers is very easy. You can just plug in one end of the USB cable to your computer system and the other one to the speakers to play your desirable music/audio. They are priced at $$$ on Amazon. You won’t complain about the design or sound quality of these speakers as they are build perfectly well. We have also read the customer reviews of this product on Amazon and found most of them to be positive or satisfying. You can also check the Amazon Customer Reviews of Audioengine a2+/a5+ for further assistance. These pair of speakers are perfect at the budget of $150. We did not like the build quality and the design of these speakers but we can’t complain much at this budget. The sound quality of these speakers is good enough to rock music on it. 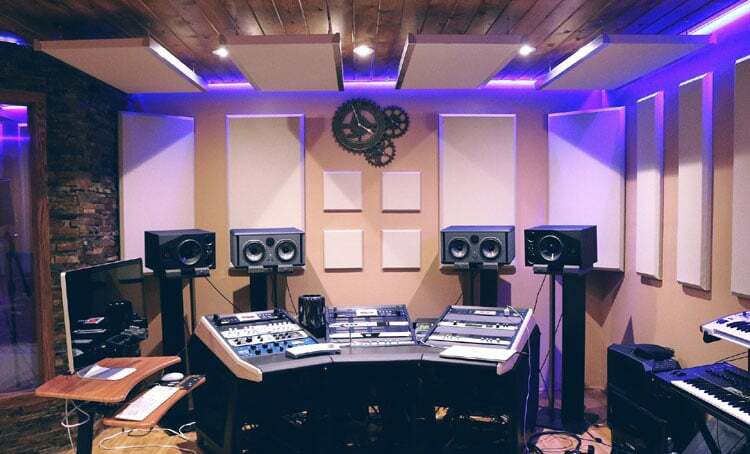 The amount of bass produced by these speakers is very good. You can pair these computer systems to your desktop through a 3.5Mm audio cable. The best part is that you can even connect your earphones/headphones to it in case you do not want to disturb your roommates. The customer reviews of M-Audio AV42 on Amazon are decent. We have noticed some reviews complaining about the design of these speakers but the sound quality is pretty impressive. If design is your priority then you should upgrade your budget and get a better pair of computer speakers for your desk. 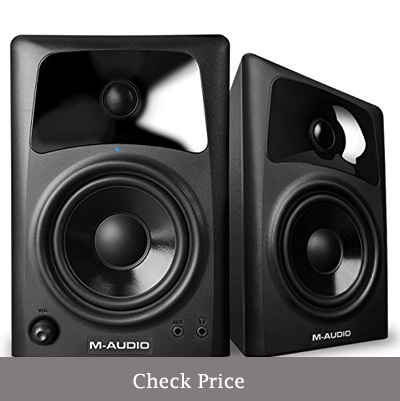 You can also check the Amazon customer reviews of M-Audio AV42 to know more about the speakers. We have also found that some customers were complaining about the connectivity issue through 3.5Mm aux port but this issue is found in very little cases. 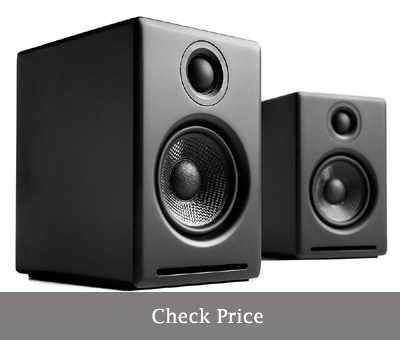 If you find the same issue after buying these speakers than you can simply replace them. Polk Audio Hampden is an antique pair of computer speakers. These speakers are perfect for a wooden desk. The design of these speakers is really good. 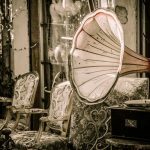 You should definitely consider these pair of speakers if you love antique products. These royal brown looking speakers with white padding on top can make your desk look dope. They are designed in a manner so that the audio from these speakers will hit directly to the person sitting next to them. They have a stand at bottom which makes them face upwards. We will definitely rate the design with 5/5. The sound quality of these pair of computer speakers is also very good. You can enjoy crisp and clear audio with a decent amount of bass. You can pair these computer speakers to your desktop through a USB cable or a 3.5Mm aux cable. The best part about these pair of speakers is that you can even pair these speakers with your computer system through Bluetooth 4.0. They have a frequency range of 50 Hz-22 kHz. Another great thing about is its price. 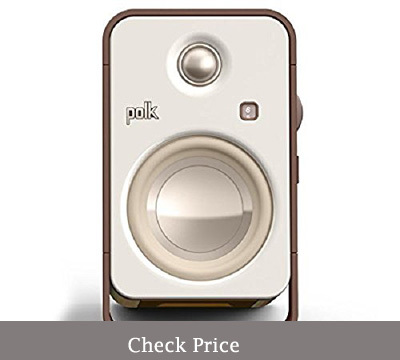 You can get Polk Audio Hampden for $$$ on Amazon and features are every good at this price. All the customers of Polk Audio Hampden are satisfied which can be seen in the customer reviews on Amazon. 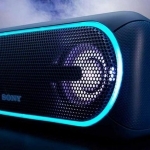 We have found most of the positive reviews to be talking about the design of these speakers. We will also recommend you to check the customer reviews of Polk Audio Hampden on Amazon if in case you want to know more about it. These are a pair of fancy and dope looking speakers that are capable of making your desk look dope. These speakers are priced at just $$ on Amazon. They have got a transparent plastic sheet at the front and you can find the LED lights under the plastic sheet. These LED lights makes the speakers look like gaming speakers but you can also use these speakers if you are not a gamer. These speakers can be paired to your desktop through Bluetooth 2.1. The sound quality of these pair of computer speakers is fair. It is not the best in the market but will get the job done. If you can upgrade your budget, you can definitely find a better pair of speakers for your desk. You can get a better pair of speakers with better sound quality and connectivity. We have found the Amazon customer reviews of Gogroove Basspulse Wireless to be decent. Some customers were happy with the lights but some were complaining about it do it depends upon your liking. You can go to Amazon Customer Reviews of GOgroove Basspulse Wireless to know more about the product. We recommend you 4 best computer systems of differed prices and features. You can pick the one which suits you and your budget. 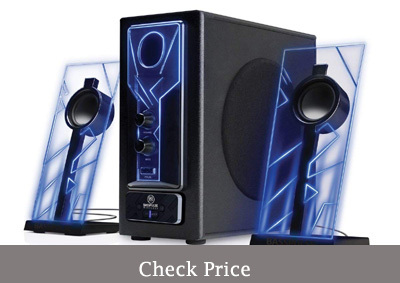 It is completely your choice to buy any of the mentioned computer speakers under 200. Make sure to read customer reviews on Amazon before buying any speaker form this list as you will get a better idea from the people who are actually using it. These were the best computer systems. You can subscribe to our newsletter for more tech brewed content.